The “Anthropocene” gives a new name to a phenomenon a long time in the making. This chapter suggests the aesthetic and epistemological ramifications of this epochal designation are likewise newly visible, but not altogether new. 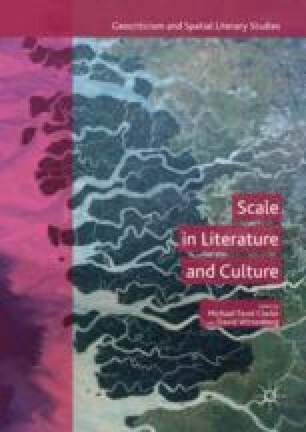 The chapter delineates the forms and functions of a set of cultural texts of the 1940s–70s that prefigure the scalar analytics envisioned by recent discussions of climate change in the humanities. Reading Richard Matheson’s The Shrinking Man with exhortations to population control by Fairfield Osborne, William Vogt, Paul Ehrlich, and the Club of Rome, Lubin charts a genealogy of parametric planetarity to recast contemporary Anthropocene criticism in terms of a precursive concern about the hubris of humankind growing out of proportion to a fragile planetary ecology.